Why Our Executives Can't Wait for #Postback15! Why Our Executives Can’t Wait for #Postback15! It is difficult to put down in words just how incredible Postback is. 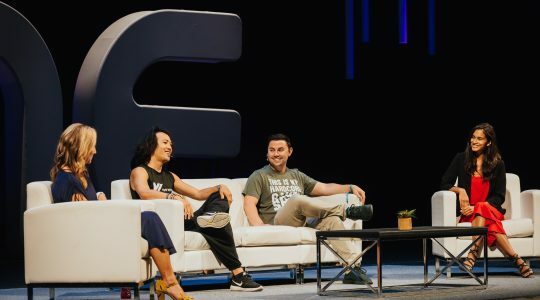 From the informative sessions to the once-in-a-lifetime parties, the entire conference is designed to ensure that you are continually connecting, knowledge-sharing, and building relationships with the best of the best in mobile and performance marketing. Who better to try and describe the magic of Postback than our leaders who have seen it unfold each year? We asked Peter Hamilton (CEO), Lucas & Lee Brown (co-founders), and Cameron Stewart (general manager of HasOffers), why Postback is so special to them, and why they can’t wait for #Postback15! 1. What Exactly Is Postback, and Why Does TUNE Do It? PETER: Postback is like the real life version of our products. Our entire goal is to build measurement technologies that help marketers and partners grow their businesses by better connecting to each other. We decided to call it Postback because that is the term used to describe the server to server pings that we make between systems that allows both marketers and their partners to have insight into performance. That server relationship is quite powerful, but before that is in place and long after, the human to human relationship between partners is even more powerful. We want Postback to be a real world mechanism that better connects and aligns marketing partners, and we do our best to create an amazing environment for it and get out of the way so people can really do just that. CAMERON: It is different than any other event that marketers attend throughout the year. It’s not a product pitch, it’s not a huge exhibit hall, it is about connecting the mobile marketing ecosystem and meeting others that are moving the industry forward. It doesn’t matter if you are a founder of startup, or a VP of a Fortune 500, everyone should be ready to bring their beliefs and passion for the industry and make things happen. 2. Why Do You Think Postback Is Important for Marketers to Attend? PETER: This is a conference without vendors and agendas. We don’t have booths, and we don’t have promotional pitches. There is no sponsored way to gain attention at Postback. If marketers are looking to expand their networks, learn from the best, and catch onto the next generation of strategies, they should come to postback. This will be a time for sharing ideas and making practical connections, and I think every marketer in mobile and cross device will benefit from the experience. LUCAS: Postback is a unique experience where marketers and ad partners that interact with TUNE come to connect and learn together. CAMERON: I absolutely love how open all the attendees are to engaging in conversation. You can be talking with an advertiser about their mobile strategy, only to have a publisher or network walk by, innocently overhear the conversation, engage, and then snowball into three different conversations with other attendees. 3. What Is Your Favorite Memory from a past Postback? 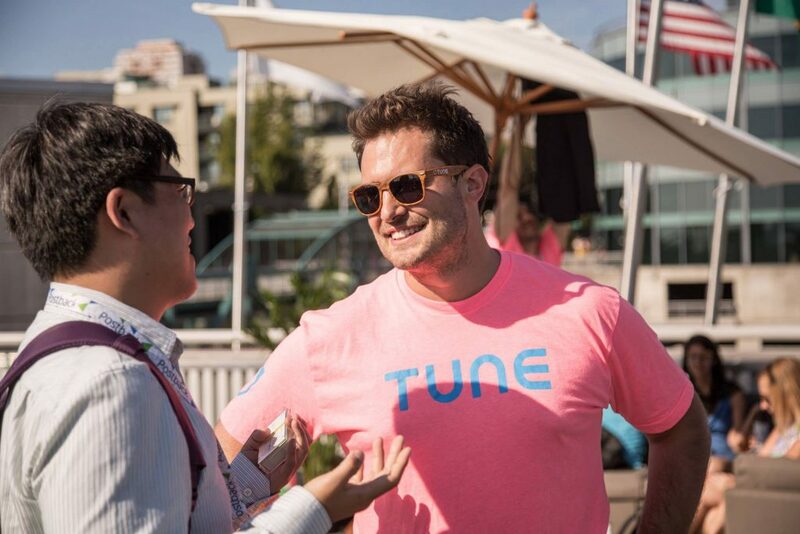 PETER: Certainly unveiling the rebrand of TUNE was an epic memory for me at the last Postback, and of course the party that followed with Girltalk :). The energy was just amazing that day, and the weather was incredible. Everything couldn’t have been more perfect. LUCAS: My favorite times are connecting with new people, most of whom are clients or partners and understanding how we can help continue to grow together. CAMERON: My favorite specific memory was actually the Saturday after Postback, Year one. A bunch of TUNE’rs, clients, and partners ended up at Lucas and Lee’s house in Magnolia. Everyone looked defeated from endless socialization, learning and networking, yet somehow we were ready for more. I think that is the epitome of Postback—there can never be enough time with each other. 4. If You Could Have Any Celebrity Attend Postback, Who Would It Be and Why? PETER: Well, Malcolm Gladwell was WAY UP THERE on the list, so I couldn’t be more excited about that, but if I have to pick someone else, I would be delighted to have Tim Cook attend Postback. I would love to get his perspective of this ecosystem that has developed and where it will go on the Apple platform. I have been amazed by his delivery at Apple, and I am excited about his commitment to consumer privacy. He would be an excellent guest. LEE: A famous opera singer to join Peter on stage: http://listverse.com/2012/04/08/top-10-greatest-opera-singers/. LUCAS: Kate Upton and Liam Neeson because they were a part of the most successful video ads in mobile games this year. Obviously it would be amazing to meet them, but to see this kind of support for our industry from celebrities would be really fun. CAMERON: Craig McCaw. Probably not the most recognizable celebrities, and certainly not the sexiest, but there is a reason. We are hosting Postback at McCaw Hall in Seattle Center. This venue was renamed after Craig McCaw and his family donated money to renovate the facility. Why is this relevant? Well, Craig was one of the pioneers for cell phones back in the 80’s, and is a Seattle native. I just think its pretty cool to see that come full circle, and to be hosting our 3rd Annual Postback in a building his family named in his mother’s honor. 5. What Are You Most Looking Forward to at This Year’s Postback? PETER: What really makes Postback special is the little things. We work really hard to make small memorable moments for everyone, from a surprise hangover breakfast to the neon swag. We want it to be something really special. This year we’re reaching outside our own industry to make it especially brilliant. From inviting Malcolm Gladwell to speak, to the various music performances, to the giving back to support others in the tech community, we want to create an outstanding foundation to build off of. I can’t wait to see the ways our team even surprises me along the way! LUCAS: TUNE clients that are both marketers connecting and sharing tips with other. CAMERON: I am really looking forward to the conversations that are inspired from Malcolm Gladwell. All of our clients and partners are apart of this rapidly growing industry and each of them are faced with opportunities and challenges. Mr. Gladwell’s perspective will surely invigorate collaboration across the attendees and I have the sense that something huge will be the result. This year’s Postback event will be held July 23 & 24 in Seattle, WA. 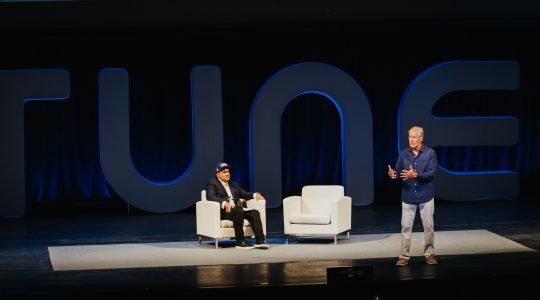 Featuring a lead keynote address from Malcolm Gladwell, nine panel sessions with discussion from 30+ industry experts, and training for TUNE products, Postback is a can’t miss event for all serious marketers. 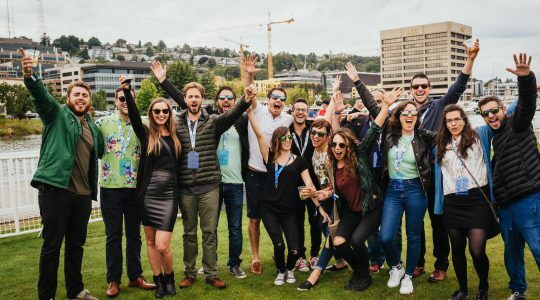 The event also includes an outdoor happy hour, private boat cruise around Lake Union, and a concert with a secret artist, giving you plenty of opportunities to connect with other industry professionals. To register or learn more, visit the Postback website. Like this article? Sign up for our blog digest emails.